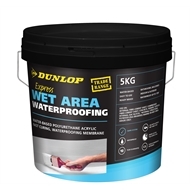 A high performance water-based acrylic polyurethane waterproof membrane offering superior workability with high build to easily achieve the required thickness of an effective waterproof membrane. 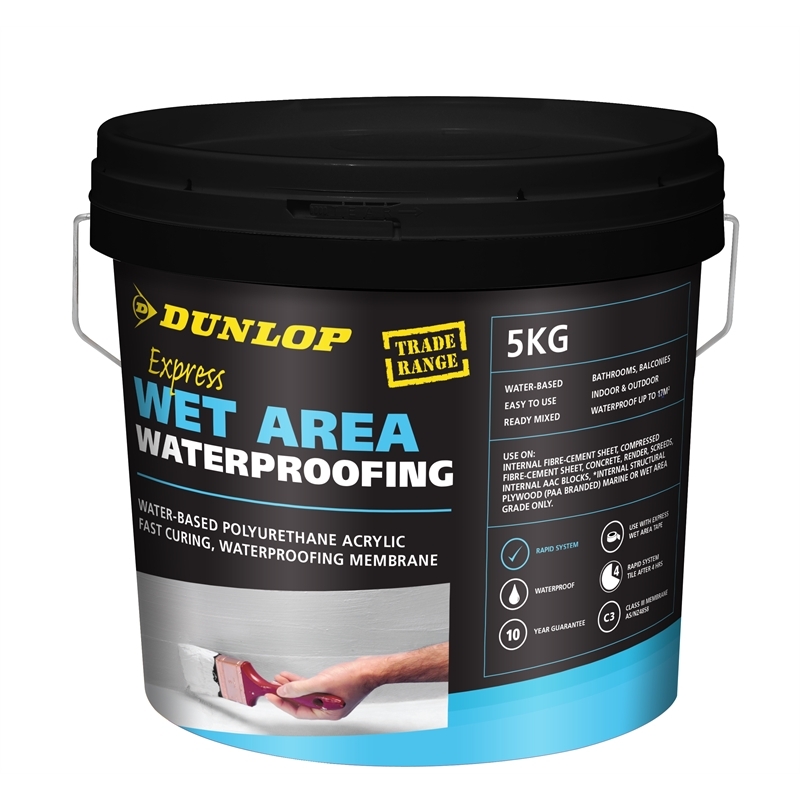 When used with the DUNLOP EXPRESS WET AREA TAPE as part of a total express waterproofing system, tiling can be achieved after 4 hours. This membrane is a Class III Membrane AS/NZ4858.